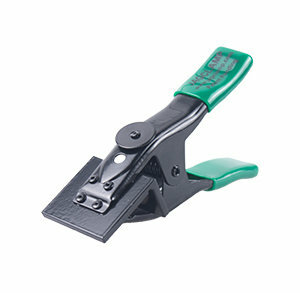 Heavy duty, multipurpose hand clamp that quickly and easily attaches on any standard size block or brick. Works great on split face and header type blocks that average masonry line stretchers can not. A multipurpose tool for any job requiring a trusty clamp (tents, lead poles, tarps, etc. ).